Today my youngest son is 12 years old! This week, I have been sharing a few of his past birthday celebrations. 4 years ago for his 8th birthday we went to a local bowling alley for his party. We asked the gusets to dress from the 1950's. I bought retro bowling shirts for my boys, Sheridan was in a car hop outfit and I had my sock hop ensemble complete with cat eye glasses and fake pony tail. I processed all of the photos vintage B&W and took pictures of each guest with the birthday boy. I do this for ALL of my parties and frame them and deliver them with the thank you note. After bowling, we had pizza and cake in the party room of the bowling alley. The kids had such a great time bowling! I bought everyone retro sunglasses and a mini bowling bag full of goodies such as giant bowling pin drink bottle, bowling trophy and vintage candy from the '50s. This is Sheridan chilling out on the stairs waiting for her turn to bowl. Happy Birthday Chasen! I love you more than you will ever know! I love this idea! The b&w photos make it look so cool! Another great one! 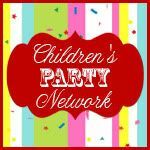 You should offer this as one of your parties. Love the idea of the photo with the thank you note! Donna, you are a way cool mom!! 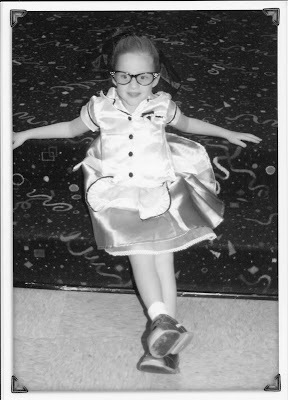 I love that idea of a retro bowling party....you looked pretty spiffy in those "cats eyes" glasses and so did Sheridan! 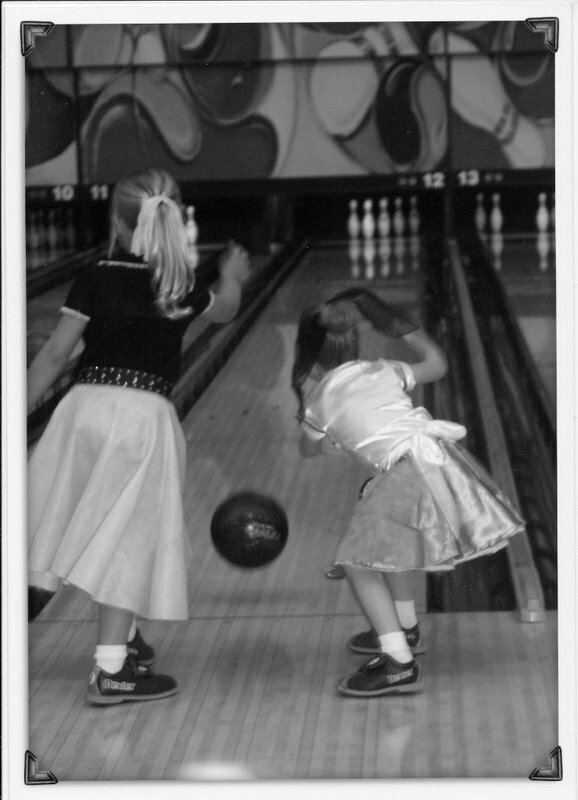 When our breakfast group celebrates my birthday the end of July, I have already told them that we were going bowling....in a newly refurbished bowling alley on The Square in Independence. It only has 8 lanes..and they have the best grill for burgers, etc. I seriously think I will INSIST they dress RETRO....what do you think? Thanks for your sweet comments about our anniversary! I also have my class ring receipt...my first driver's license .... do you have a "lunch ticket" (we had to buy them for the week and have them punched each day)...I do and LOTS more! :) I impressed my classmates at our 30th reunion with all I had saved...and placed in scrapbooks when I was in HS!! Gotta get off the computer..it's storming!